First look at the much anticipated collaboration between Nike SB, Todd Bratrud and SPoT. Just yesterday we were offered an exclusive look at the limited packaging set to accompany a limited number of the SPoT x Nike SB Dunk High "Cigar City." 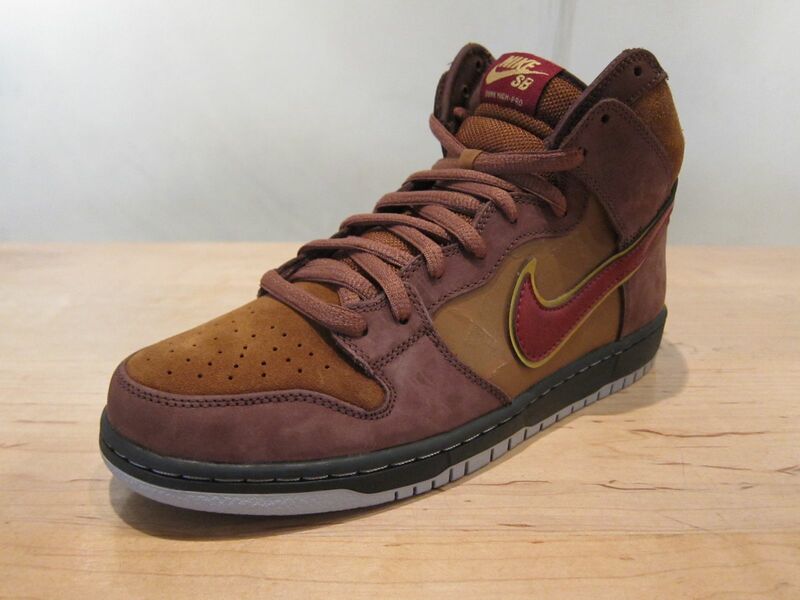 With only a teaser image out there, many of you still claimed the "Cigar City" SB Dunk a must-have. Today, we're finally given our first official look at Todd Bratrud's latest piece of work with Nike SB and SPoT. They make use of a combination of suede and nubuck covered in brown and dark red throughout the upper. The 'Cigar City" influence is seen throughout the underlay, where the tobacco leaf takes place. A tear-away material will be used as the tobacco leaf, revealing blunt-guts once skated or scuffed. The SPoT x Nike SB Dunk High "Cigar City" is expected to drop next month as one of quickstrike releases for the month of September. Sole Collector will be sure to update you once further details surface.